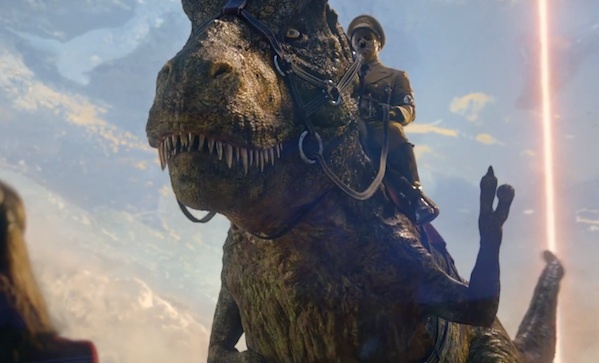 A couple of years ago, Iron Sky came out, and we nearly died laughing at the antics of those dastardly Nazis and their secret moon base. They’re back now, this time with a secret underground territory along the lines of Land of the Lost. Because there’s at least one goose-stepping T-Rex. Also, Sarah Palin appears to be the President of the United States, so it’s a horror-comedy this time ‘round.